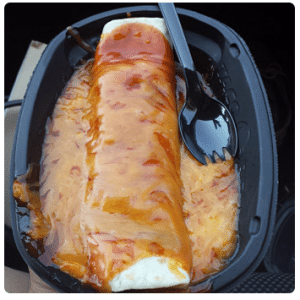 Whether you’re tired of the Taco Bell menu or you just want to add a little more spice to your favorite dishes, the Taco Bell Secret Menu is perfect. This is one of the biggest secret menus we have covered on this site and it’s also one that our readers have fallen in love with. Selling secret Mexican food mashups similar to the Chipotle secret menu’s Quesarito, the Taco Bell secret menu is packed with delicious entrees, extras, sauces and dips. They really have jumped on the secret menu bandwagon and are happy to announce al kinds of hidden menu items, while also serving the needs of customers keen to create menu hacks. 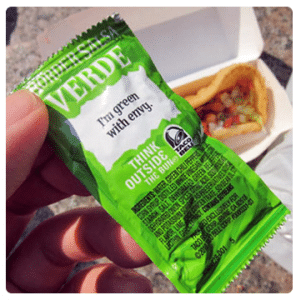 So, prepare to discover a new side of this top Mexican fast food chain by taking a look at the Taco Bell secret menu, displayed in full on this extensive guide. If you’re not accustomed to the secret menu concept yet, then it’s basically a way of “hacking” the menu to unlock more items, to create your own dishes, to get specials that are no longer listed, and more. So, let’s see what the Taco Bell secret menu has in store. What is on the Taco Bell Secret Menu? 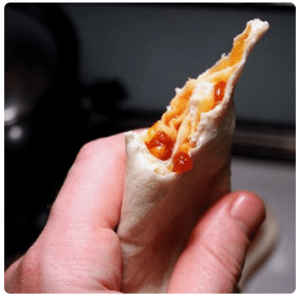 All the portability of a burrito and all the melted cheesy goodness of a quesadilla, wrapped up into one delectable combination. It is the ultimate snack. It may look like an anemic sandwich, but it just means less mess and a solid carb-to-content ratio that is sure to fill a hole when you’re in need of a big ole’ dose of starch. The Cheesaito, which also goes by several other names, begins with a warm soft-shell tortilla. This is then filled with gooey cheese, scallions, and taco sauce, making for a cheap snack any time of the day. Many boast that it tops the charts of the Taco Bell secret menu items. To order one, just ask for the following at the counter: melted cheese, taco sauce and scallions rolled up in a soft tortilla. It’s not too taxing and it shouldn’t be too expensive either, although the price will change depending on the location and the generosity of the server. This is one of the biggest and most calorific items available on Taco Bell’s secret menu. It is a flavor-packed monster that is jammed full of melted cheese, beans, and beef, before being covered in red sauce and filled with diced onions. Many argue for its presence on the real menu, but just be grateful that it is available (to the select few who know of its greatness, that is). Ask for an Enchirito if you want to try one, and if that doesn’t work, simply ask for an enchilada stuffed with cheese, beans, and beef. Most locations will recognize it by name thanks to the work of dedicated Taco Bell secret menu fans who have spread the message far and wide. 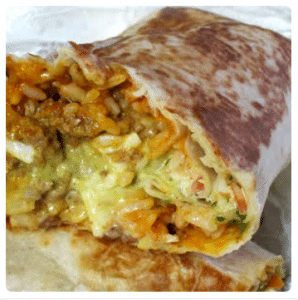 Check it out and be converted to an Enchirito addict today! 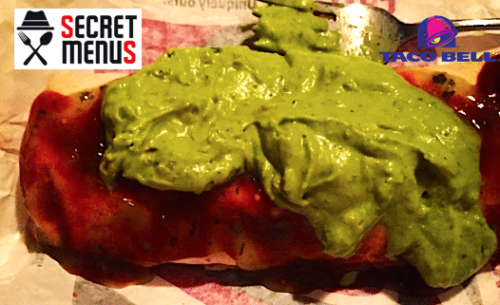 This burrito will make your friends green with envy. It’s pretty simple: add a heaping portion of guacamole to a bean and cheese burrito. 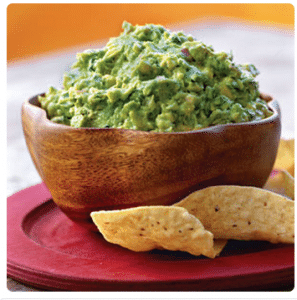 The cool, strong flavor of guacamole mixed with the hot beans and cheese make for a mouthwatering mixture. Ask for The Hulk, and if the employee looks confused, just tell them you want extra guacamole in your burrito. You’ll find that “extra” is more than enough to overload your taste buds with flavor. 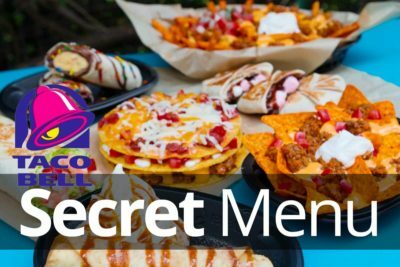 Let’s pause to tell you something essential about the Taco Bell secret menu and indeed about all hidden menus, including those offered everywhere from Pizza Hut and Domino’s, to Starbucks and Dunkin’ Donuts. That something is: the secret menu is anything you want it to be. The items listed on this Taco Bell secret menu page are, in essence, just our own creations and the creations of fans of this restaurant. They take foods that are on the traditional menu, they pick them apart, they add some extras and they create something amazing. If you want to do this yourself there is nothing stopping you. Just see what the menu contains and then ask for your own personal creation. If you get nothing but blank stares and mild confusion in reply, then order everything separately and then bring it all together at your table. Once you do, make sure you get in touch with us to let us know what you created. If you have pictures of your personal creation, even better! This monster makes other burritos quake in fear, unable to compare to its size and powerful flavor. It takes Taco Bell’s famous 5-layer burrito, usually laden with melted nacho cheese, and replaces it with a whopping helping of guacamole around every corner. For those who want a healthier way to get their 5 layers of heaven or just a new way to consume huge quantities of green goodness, this is the ultimate solution. To order one, just ask for a 5-layer burrito with guacamole instead of nacho cheese. Some heads may turn — be it in surprise or in envy — but it’s sure to quench a thirst for guacamole and even the most ravenous hunger. Are you a fan of crunchy and crispy instead of soft and succulent? The Double Grilled Quesadilla is the Taco Bell entree for you. 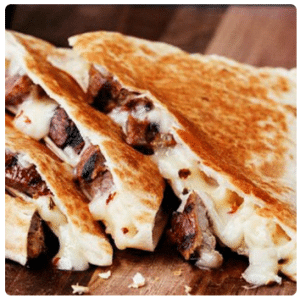 To make it, they simply grill the quesadilla for twice the usual time, resulting in the typical gooey cheese and savory meat on the inside, but with a nice crunch on the outside. Just ask for them to grill your quesadilla for twice as long to experience its deliciousness. You may just find yourself asking the same question every time you order a quesadilla afterward. The Taco Bell secret menu is part of a wider culture, a community. It’s more than just a way of getting some extra snacks for some. Many of our fans have dedicated their lives to eating as many Taco Bell menu items as they can and some have taken it upon themselves to eat every single secret menu dish out there. To get more involved with the world of secret menus yourself, make sure you stay in touch with us here on Secret Menus. You can browse 100s of menus, secret menus and more on our homepage and you can also stay in touch through our Secret Menus Facebook page. Let us know what you think of the Taco Bell secret menu. Tells us about your experiences when you tried to order the Double Grilled Quesadilla or The Hulk, and get in touch if you have a creation of your own. This burrito — quite like the hero it’s named after — does everything in excess. 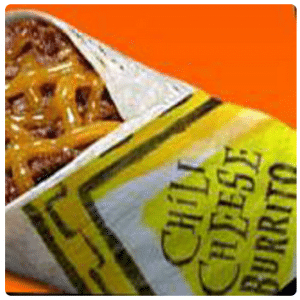 It takes a Cheesy Double Beef Burrito, which is already packed with extra flavor, and adds potatoes, sour cream, guacamole, and crispy tortilla strips to form a massive cheesy, beefy, creamy, crunchy, guacamole-y masterpiece. This burrito will fill up even the heartiest of eaters. To order one, you’ve got to ask for all the added ingredients (listed above) on top of the Cheesy Double Beef Burrito. A surprised Taco Bell employee only means you’re an impressive eater. 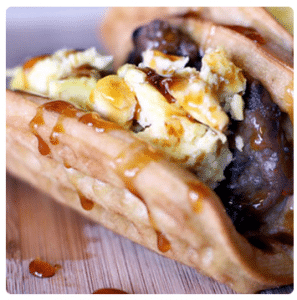 The closest thing to a breakfast item on Taco Bell menu, this unique treat wraps scrambled eggs and sausage in a waffle taco shell, mimicking the typical breakfast sandwich makeup, but standing out with its waffle exterior. For now, this is a trial menu item in Southern California, but hopefully as word of its deliciousness spreads, so will its availability. If you happen to live in Southern California, ask if your location carries the waffle taco. If they do, give it a try, and be sure to give it a good review so people across the country can eventually enjoy its sweet goodness. Love burritos from Taco Bell? Make them even better with the addition of hot chili and melted cheese amid a sea of beans and beef. Disclaimer: the flowing chili may make for a messy eating experience. But trust me, it’s well worth it. And when you’ve finished eating it and wish you had some left, you just need to look down at your shirt and there you go: second helpings! 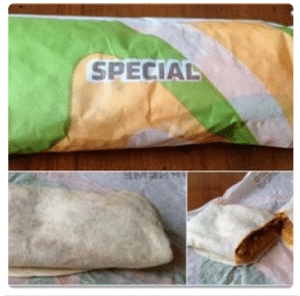 You can get one of these Taco Bell secret menu items by asking for chili and cheese to be added to a bean and cheese burrito. It’ll change the way you see burritos forever. Trust us on that one. Because if you can’t trust a fast food site talking about invisible dishes, then who can you trust? Anyone who’s tried the Volcano Taco knows the appeal of Taco Bell’s Lava Sauce. 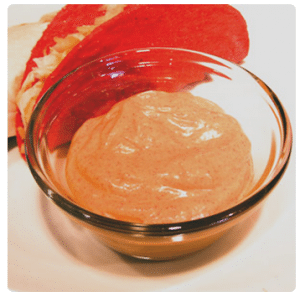 This is a spicy cheese dip that brings the heat, and with it, the flavor. It’s not for the faint of heart, but anyone can pour — or for the weak, drip – this sauce over anything you want. There are a lot of hot foods already on the Taco Bell menu, so we would not advise adding heat on heat. That probably isn’t going to end very well for you (although we’re sure many of you will now treat that as a challenge, in which case, good luck to you). But this sauce works very well with some of the milder and non-spicy foods. It can give them a big kick, which is sometimes just what they need to bring them to life. Of course, if you don’t like heat and you ordered the milder dishes for that reason, then give this sauce a miss. The best thing about this super-hot Taco Bell secret menu sauce is that it is free! It is also in most locations. You just need to ask and they’ll give it to you. This sauce puts the green sauce at any Mexican restaurant to shame. It brings all flavor of your typical green sauce (found on everything from enchiladas to chimichangas) but with a spicy kick that can’t be rivaled. This unique flavor is hot. But for anyone who likes a little fire in their diet, just ask for a packet, and spice up your meal to the max. It is a different kind of heat to the sauce mentioned above, but it still has the potential to blow your head off and this is a sauce that should be used lightly and should be avoided altogether by anyone who doesn’t appreciate a big of spice.